• There were no serious injuries. • Multiple callers heard a burst of gunfire, with most saying they heard 5 shots. It is not known if the shooters were on foot or in a vehicle. • Another witness reportedly pointed out shell casings to officers near the 7-Eleven parking lot. • Witnesses near the intersection of Addison and Sheffield were able to point police to a white panel van that was leaving the scene. Officers launched an immediate response, which benefited from having nearly half of the district's beat officers working the Wrigleyville bar strip. • Officers pulled the van over at Clifton and School less than 2 minutes after the 911 calls were received. • The van turned out to be occupied by the victims, not the shooters. 8 persons were in the van, with most hailing from South Lawndale/Little Village. Two of the eight are self-admitted Latin Kings. On May 11, a man was struck in the eye by a ricochetting bullet as he stood outside of a bar at Addison and Ashland. Those shots rang out when rival gangs clashed at a nearby memorial service. As of last week, no arrests had been made in the case. 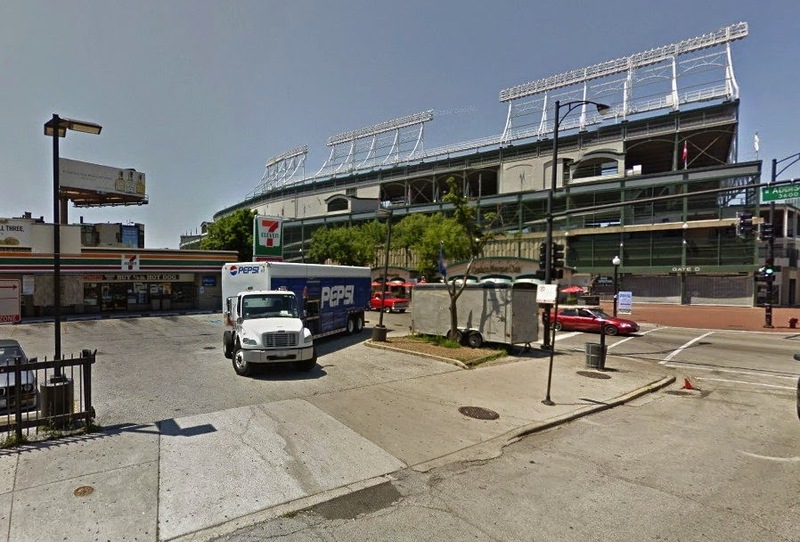 The last known bonafide case of shots being fired within Wrigleyville and Boystown was on April 21, 2013. A man was shot in that incident, which occurred in an area adjacent to the same 7-Eleven store. The creatively-tattooed Marcus E. Harris remains in Cook County jail in lieu of $900,000 bond in connection with that case. Updated May 28: Added gang affiliation info.